For a (wannabe) Writer, I have not read a lot of books. In college I read a lot of Monarch Notes (which are like Cliff Notes) instead of reading the books. The only actual books that I read cover-to-cover while growing up — that I remember reading — can be counted on two hands, and they include James and the Giant Peach, Charlie and the Chocolate Factory, Charlie and the Great Glass Elevator, Watership Down, To Kill a Mockingbird, The Taking of Pelham 123, The Caine Mutiny… and Joseph Heller’s Catch-22, which was by far the funniest of the bunch. It explored the ironies and contradictions of life, especially in the military, and included characters with names like Milo Minderbinder, Mjr. Major Major Major, and the aptly-named Col. Scheisskopf (which translates to Colonel Sh!thead). As you probably know, a catch-22 is an impossible predicament, where to get something, you need to already have something else, but to get that something else, you have to already have the first something which you were trying to get in the first place. For instance, to get a job, you need experience, but to get that experience, you need a job. The book is full of interesting situations that make you shake your head and wonder why so many things in the World are so illogical, or so unfair. But as my parents taught me so many years ago: Life is not fair. Who ever said life was fair?? So… I try to be fair when I can. Even though I have my favorites, and some girls are more photogenic than others, I strive to share all of the cheerleaders with you, and that’s what I’m doing right here. I don’t want anyone to resent me for showing favoritism, or for omitting anyone, and it’s preferred that I don’t focus on any individual (too stalkerish/could cause jealousy/don’t want to elevate anyone to a higher status in this cult-of-personality World), so this pictorial below is the perfect entry: 22 photos, each a solo shot, of all 22 girls (plus one bonus shot of all the GUYS on the Cheer Squad!). 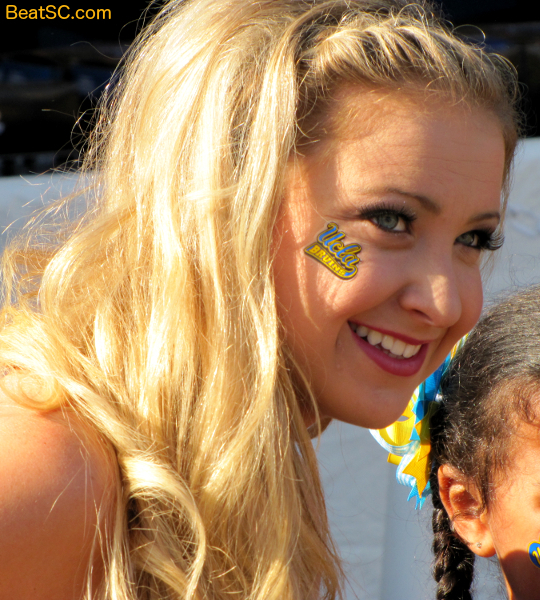 Click on the pics to enlarge them, and come back SOON, as I will be sharing another 60 (at least) UCLA Cheerleader photos from Saturday. 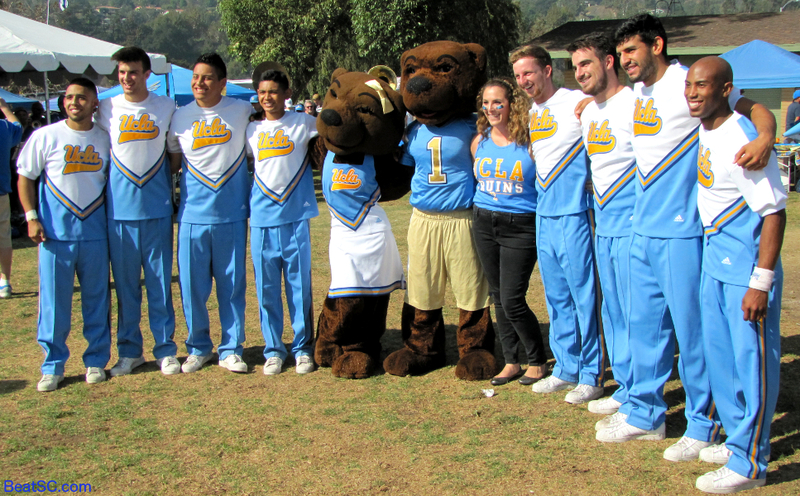 "22 CATCHES" was published on October 14th, 2014 and is listed in UCLA/usc/Cheerleader Photos. Thank so much for the photos, while i appreciate your work, the sports illustrated guy got great pictures of their Cheerleader of the Week, Danielle, did you see them?